Delta 3...either this cam is having a tough time or it does not like my computer...anyway, here's egg #1...not sure why she was off of it for so long..
at Delta #3. Calendar Updated and the egg that was posted to Delta 2 incorrectly [probably by me] moved to Delta 3. Yippee! 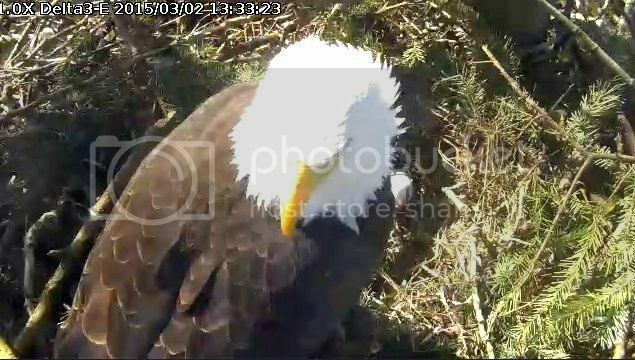 Egg number two has arrived at the Delta 3 nest! Looking forward to watching this new cam! Link to cam: http://www.hancockwildlife.org/index.ph ... delta3east"
Are all the Delta nests (2 & 3) in the same thread? A good look at the two eggs. 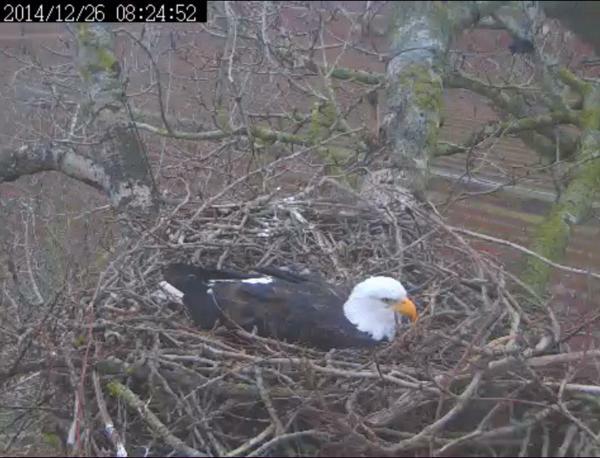 The video begins with some eagle calls, but the other parent doesn’t arrive to exchange places. enroute to and from ferry to vancouver island we pass through Delta. saw th e nestI observed years back where they had a teddy bear. no one there but saw eagles in 2 other nests which I M THINKING ARE Delta and delta 2 . I know one for sure is on cam. We could not stop . there are so many eagles in area of all ages. We saw 2 sets of adults on power poles close to ferry. But there was a pair of ealges in tree not far form them , which is not good. while I was in my glory, I sure hope there is enough food for all. Yes, so please indicate which nest.